Most of you know by now that we're big on books around this Mama's house. Add to that a lovely sister-in-law who also happens to be a children's librarian and you'll understand just how firmly I have my hand on the pulse of the children's book industry. Which is why it has only taken me two weeks to share the Association for Library Service to Children's book award winners with you. 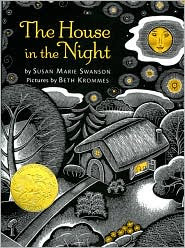 The House in the Night, by Susan Marie Swanson, illustrated by Beth Krommes is 2009's Caldecott Medal winner. A comforting bed time tale for your pre-schooler, this story, enhanced by Krommes illuminated illustrations, is the perfect way to say good night. 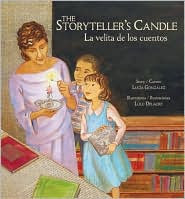 A bilingual story about a cross-cultural move, The Storyteller's Candle (La velita de los cuentos), by Lucia M. Gonzalez, illustrated by Lulu Delacre is a 2009 Belpre Illustrator Honor Book. It is a true story of Pura Belpre, the first Puerto Rican librarian in New York City, and the way she helped shape the New York Public Library system--and many young minds. No self-respecting pre-schooler I've ever met can resist a good Mo Willems read. 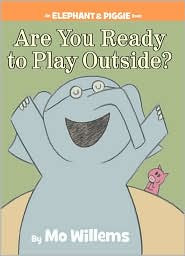 The latest, Are You Ready to Play Outside?, is this year's Geisel Award winner. Part of his popular Elephant and Piggie series, this fun little book doesn't disappoint. Find the full list of ALSC Award Winners here. Cool. Thank you for the recommendations. Reminds me -- an acquaintance recently asked for some ideas on great songs for kids -- songs that aren't necessarily children's songs. Any ideas? Great question, Kate! Being music lovers, we rarely go without something to groove to in our home or car--that is, when we're not listening to NPR. I've blogged previously about this very question, complete with holiday ideas.